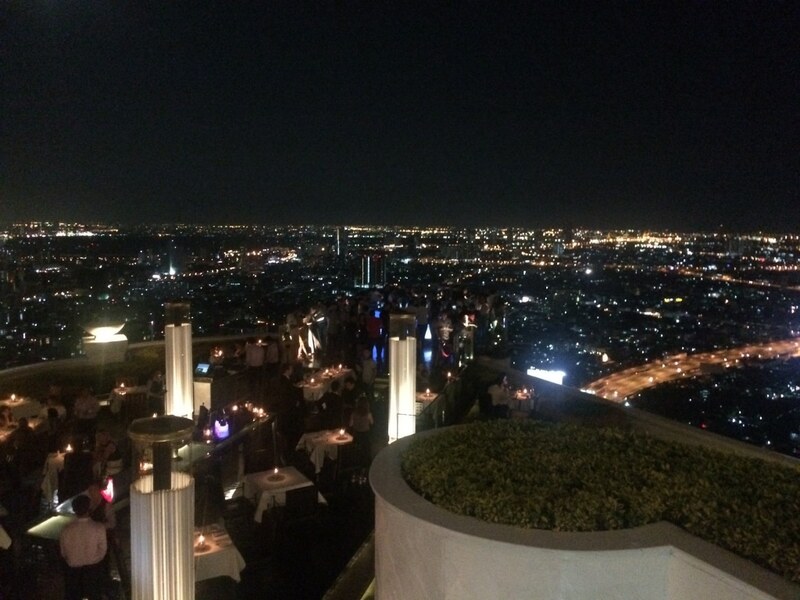 Bangkok really is like no place I have ever been before. 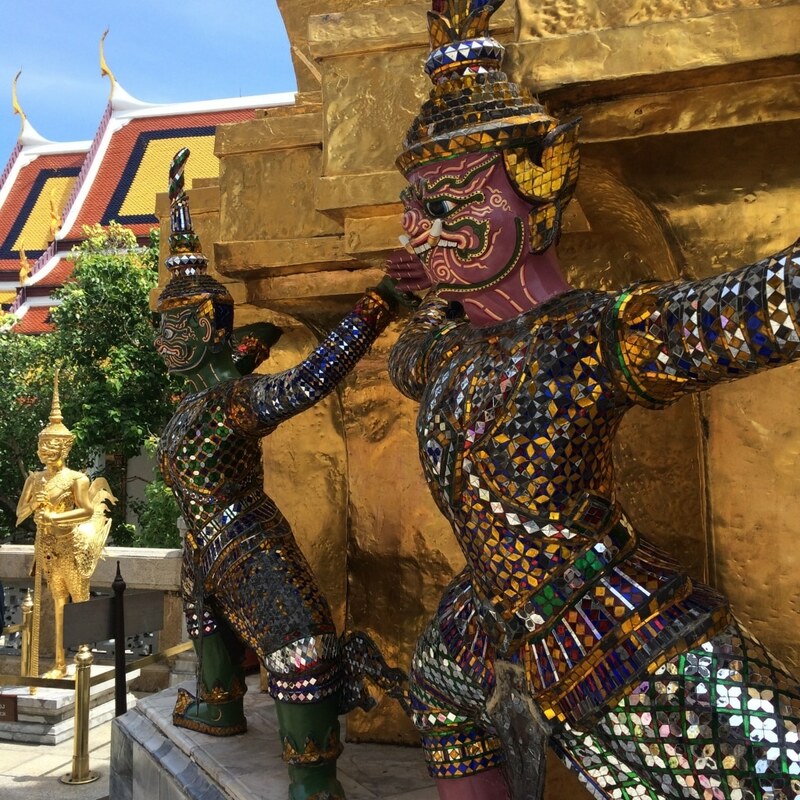 I had never been to Asia before, so I knew we were going to be thrown head first into a total culture shock, but it exceeded all my expectations. Our 2 day stay was a whirlwind of sights, sounds, smells, noises and tastes. 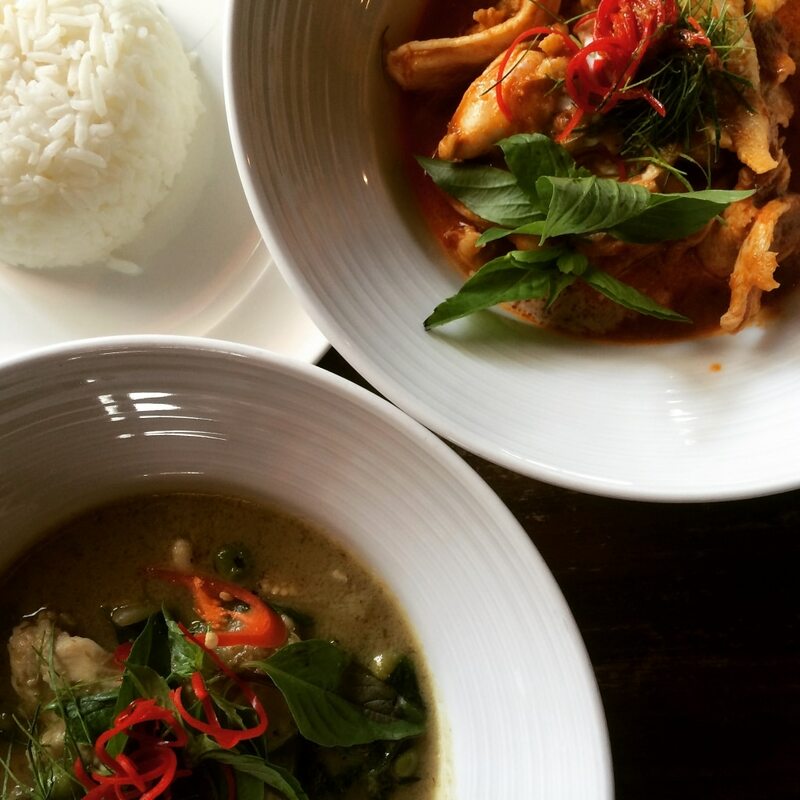 Bangkok is a city for all your senses! Although we didn’t know what to expect, the one thing that we were told by everyone that has been to this chaotic city was that it smells like no city you have been to before. Hearing that is a bit worrying, as you expect to it smell weird, but it is totally the opposite. From the moment we wheeled our bags out of baggage claim, our noses were greeted with hints of ginger, lemongrass, coconut and other things I had never smelt before. After having travelled for just over 20 hours, we were hungry. As tempting as all the food smelled, we didn’t want our first Thai taste sensation to be in the airport, so we went to find a taxi. 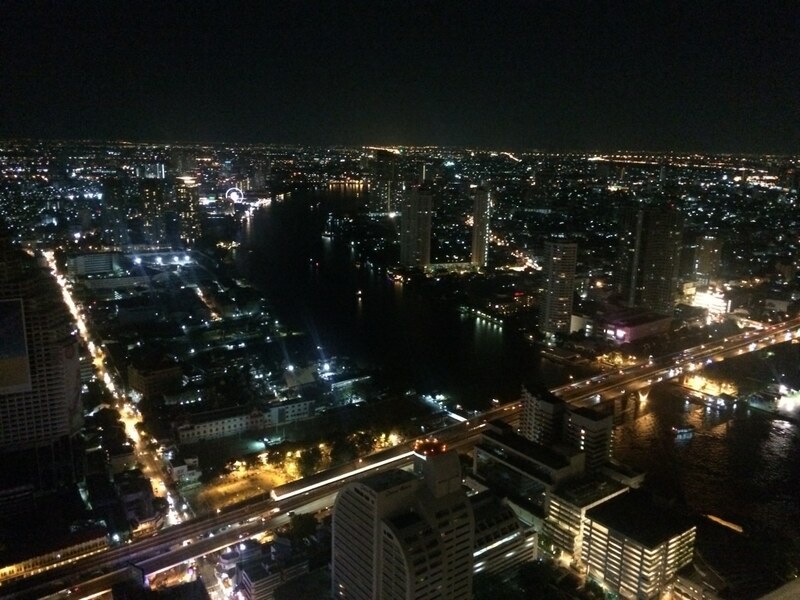 If you are landing in Bangkok, getting the train in to the city is cheaper, but when you are tired, you just want to get to your hotel as quickly as possible and a taxi is the best option for that, right? Wrong! We negotiated a very reasonable price (£15) and jumped in our taxi for what should have been a 30-40 minute journey, but it turned in to a 3 hour journey. The traffic in central Bangkok is INSANE! The traffic lights are a joke; they let cars from one side go through for 10 minutes and then only let one car from the other side through, which was where we were stuck for 2 hours on one road. We couldn’t even get out of the car and walk as all the cars and tuk-tuks were bumper to bumper, so we couldn’t get our luggage out. By the time we got to our hotel we had been travelling for 24 hours. 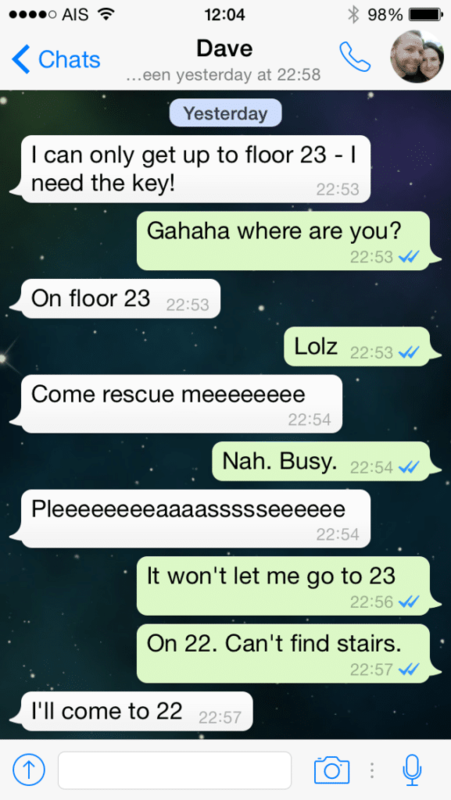 To the exact minute, it was 24 hours since we got in a taxi outside our house to walking in to the hotel. 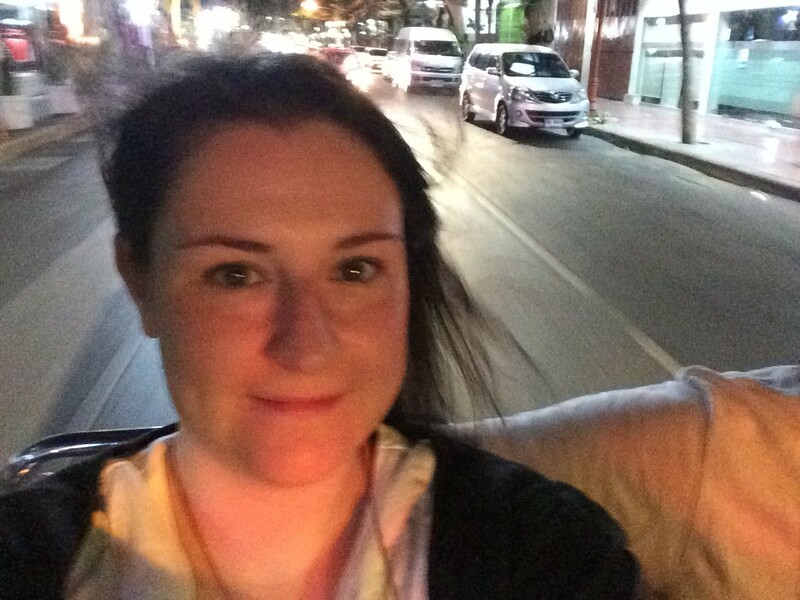 We travelled to Bangkok, not in to space! But with the layovers and delays, it was one long day. Half tempted to have a nap, it was already 5pm and we new it would make us feel so much worse in the long run, so we decided to push through and to start as we meant to go on by going to the supermarket to get some beer and to find some food. Whilst you expect to find lots of little Thai supermarkets, what you find instead are a lot of 7-Eleven supermarkets. 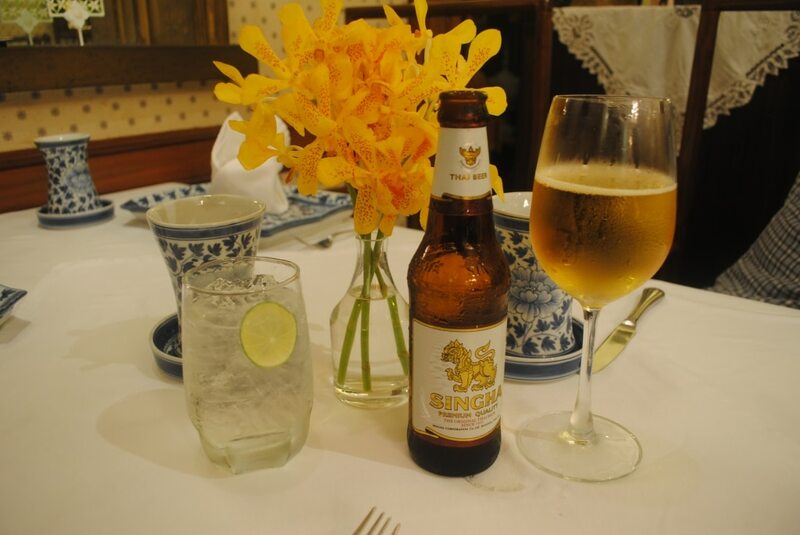 Not being in the mood to hunt round for anything more traditional, we went in to grab some beer (Singha of course) and here is where we experienced the friendliness that Thai people are known for. Staying a little bit out of the centre of Bangkok, this was very much a local area with not too many tourists and we didn’t see any other westerners on our supermarket trip. We must have stuck out, because before I even had a chance to open the beer fridge and work out the price (cheap! beer is very, very cheap) a group of school boys came running over with big smiles on their faces asking us where we were from. They had a school project to find British people and ask them questions about England and Thailand. “Of course” we said! I filled out their form, they took photos with us (I think the other people in the shop thought we were famous or something), they said lots of thank-yous and went on their way. I am not sure how long we were in the 7-Eleven for, but by the time we had come out, a whole street market had set up. 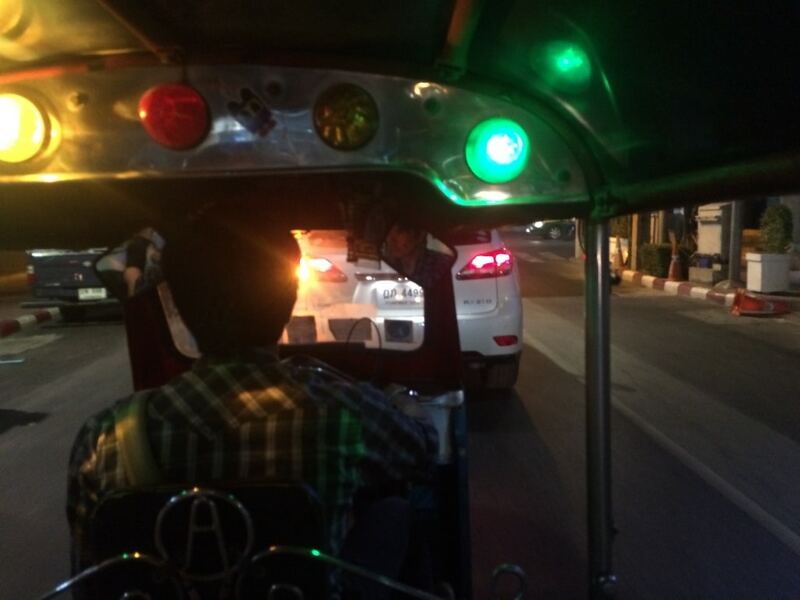 It seems that at around 6pm, most Thai streets come to life with little carts making all kinds of culinary treats. 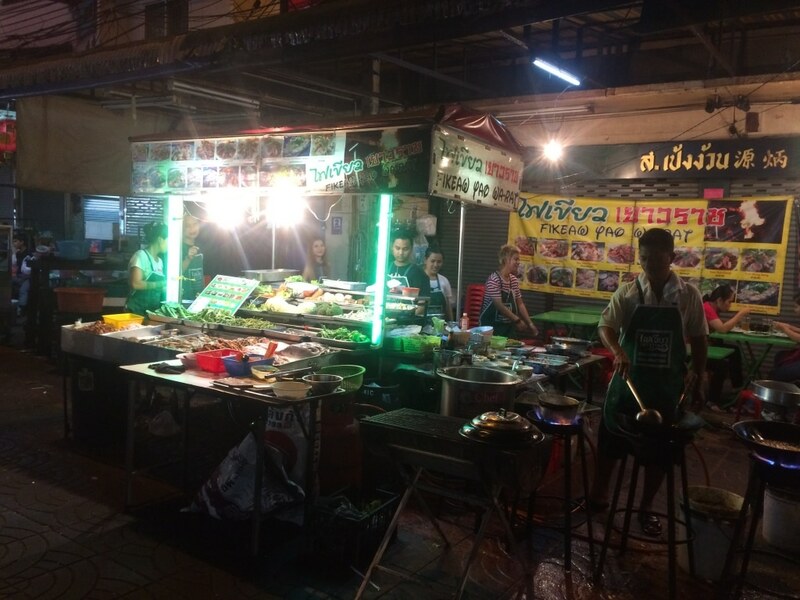 We had been wondering what our first Thai eats should be, and the decision was made for us when we saw all the stalls set up. We saw a guy cooking what looked like chicken skewers, so I asked him “Is this chicken?” and he replied “Errrrrrmmmm, yes. Chicken!”. Who knows what it actually was, but it sure was tasty! We headed back to the hotel to enjoy the feature that made us book this hotel. 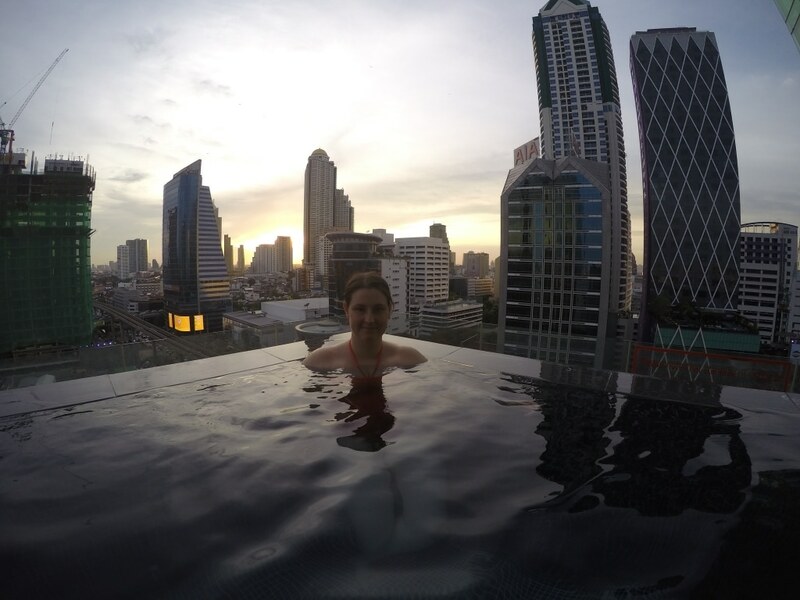 The Eastin Grand Sathorn has an infinity pool 14 floors up and with the sun about the set and the cocktail bar calling our name, that is where we went. Surprisingly the pool wasn’t that busy, so we managed to get a little pod bed thing and ordered some cocktails. By Thai standards they were a bit pricey, but considering it is a hotel pool with this view, they were worth it, and strong. After we washed the 24 hour journey off us with a good shower and change of clothes, it was time to head out for a real Thai meal. 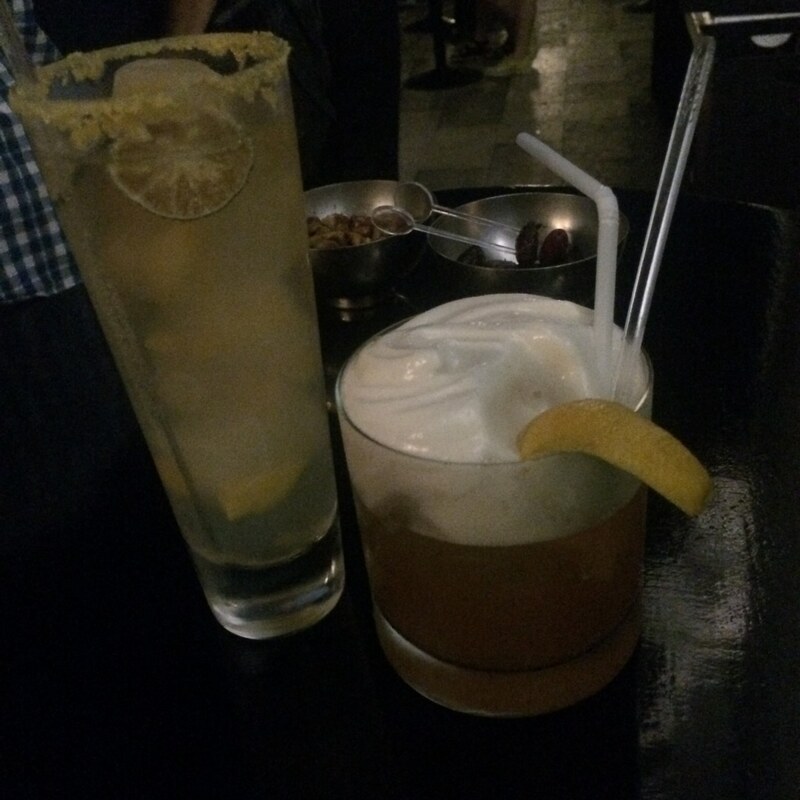 I researched restaurants extensively before we went (actually, before we even booked out hotels) and we didn’t want to venture too far on our first night, so it was lucky that there was a highly recommended restaurant just round the corner. Thanying is tucked down a side street and not somewhere with a lot of passing traffic, but it is worth going out of your way to get to. This unassuming restaurant was fairly busy, with a mix of tourists and locals, but luckily there was still space for us and we were sat down with a drink in hand within 5 minutes of walking in. The combination of being really hungry, greedy and not knowing what to choose, we totally over-ordered. I had been thinking for weeks what to order first and I couldn’t decide, so we went with all our favourites. 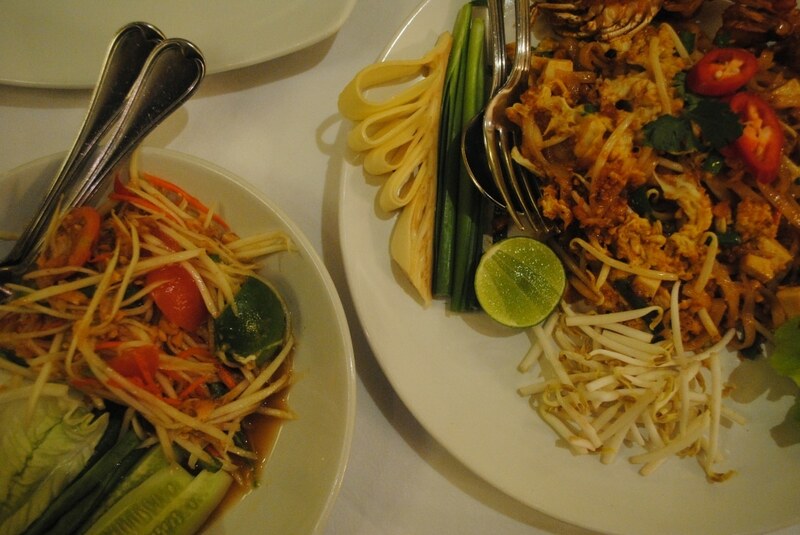 We started off with Som Tam, which is a green papaya salad and some Pad Thai, which is apparently a starter in this restaurant. The pad thai was probably the best we had throughout our trip, but that might just be because it was the first of the trip, and the Som Tam was the perfect mix so sweet, salty and spicy. You would think dinner was over with this little lot, but we did share it and we were already in holiday eating mode, so we went for the curry tasting set and some brown jasmine rice, that came out in a cone. 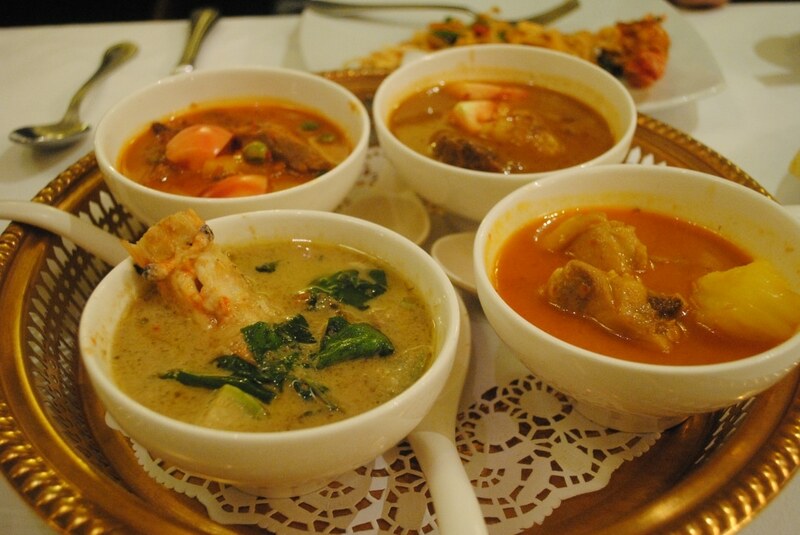 The curries were a sweet massaman beef curry, a prawn green curry, a duck red curry and a chicken yellow curry. They were all so different and full of flavour, I couldn’t have chosen my favourite. 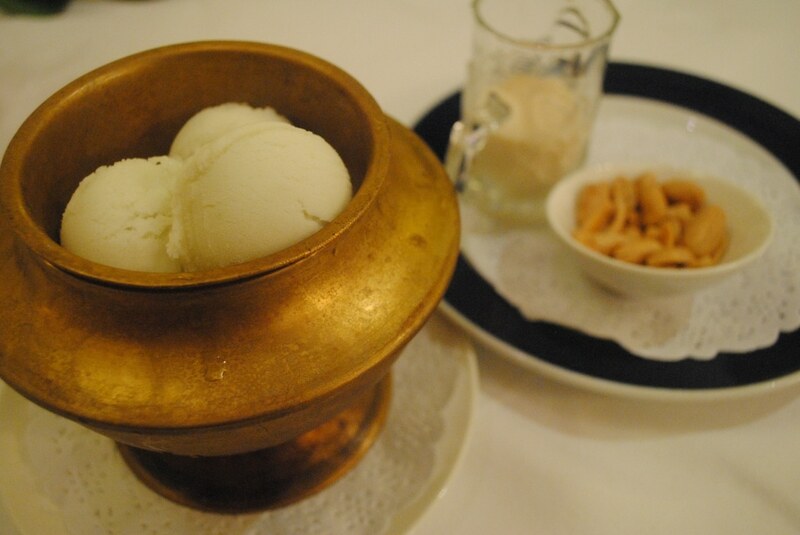 Perhaps the massaman, as I really liked the strong cardamom flavour in it. Oh, we were still not finished! Really, we should have been, but Dave had already spotted the coconut ice cream on the menu (he looks at the desserts before choosing his main) and we all know that everyone has a separate dessert stomach. 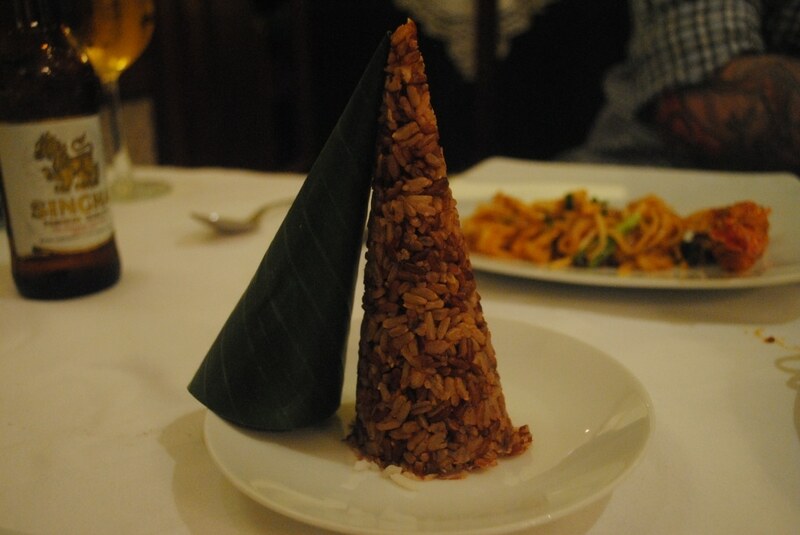 Anything sweet in Thailand seems to come with condensed milk and peanuts, which were the perfect topping to this dessert. 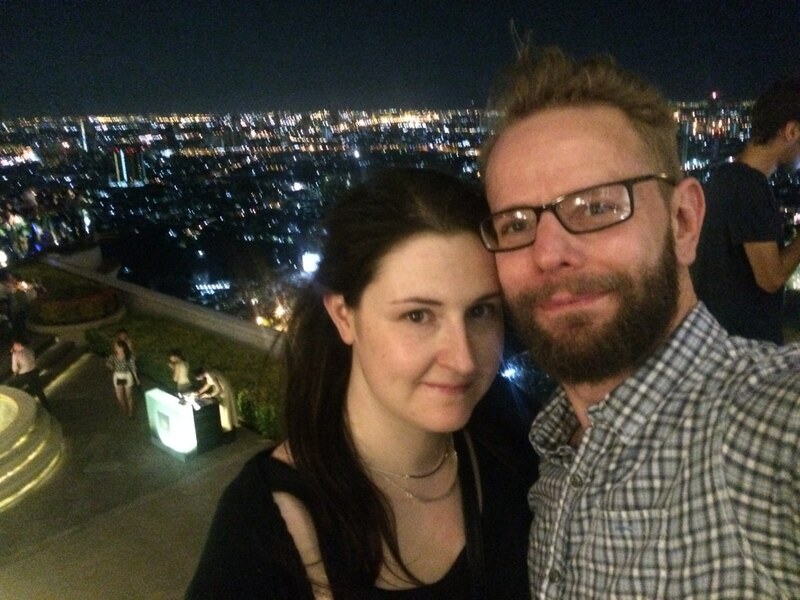 We came out of dinner feeling comfortably stuffed and really just wanting to go back and sleep, but with only about 36 hours in Bangkok we needed to fit in as much as possible, so we headed to Sky Bar to see what the Bangkok skyline looked like all lit up. We knew that this place was going to be expensive, with it being a rooftop bar in a city, but we hoped it would be worth it. To be honest, it wasn’t. The cocktails were £12 each, not very strong and it was packed. Don’t get me wrong, the view is fantastic. The bar is 820 feet in the air and one of the highest bars in the world, but the view from our hotel room was just as good. The bar was packed with lots of glam people whose main concern seemed to be taking selfies and uploading them to Instagram and we felt far from fancy, so we finished out drinks and left and went back to enjoy the view from our room. Let’s just take a moment to appreciate my husband! The next morning was definitely “Hello Jetlag!”. I was awake at 4.30am, just in time to see the sunrise on our first full day in Thailand. 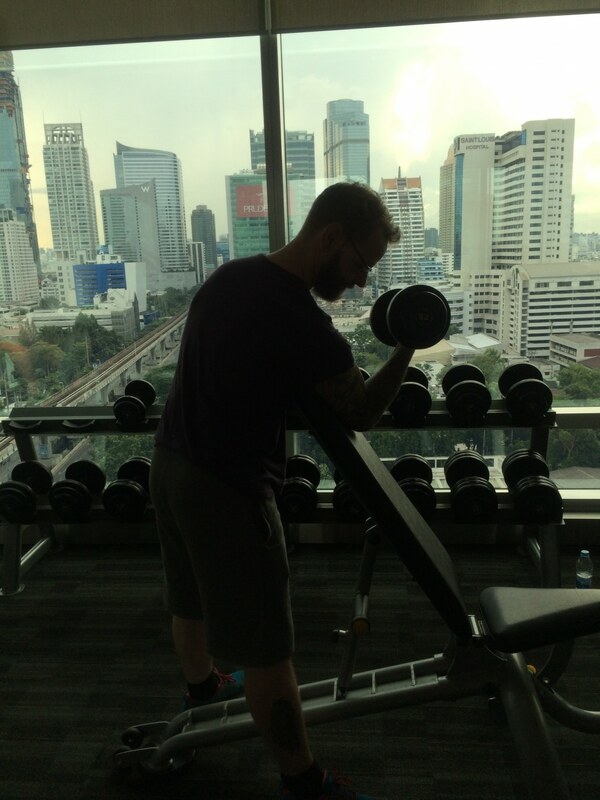 This was our only full day in Bangkok, so basically anything that we wanted to see had to be done today. When you have that kind of day ahead of you, you need a good breakfast to set you up. Luckily the hotel buffet did not disappoint. 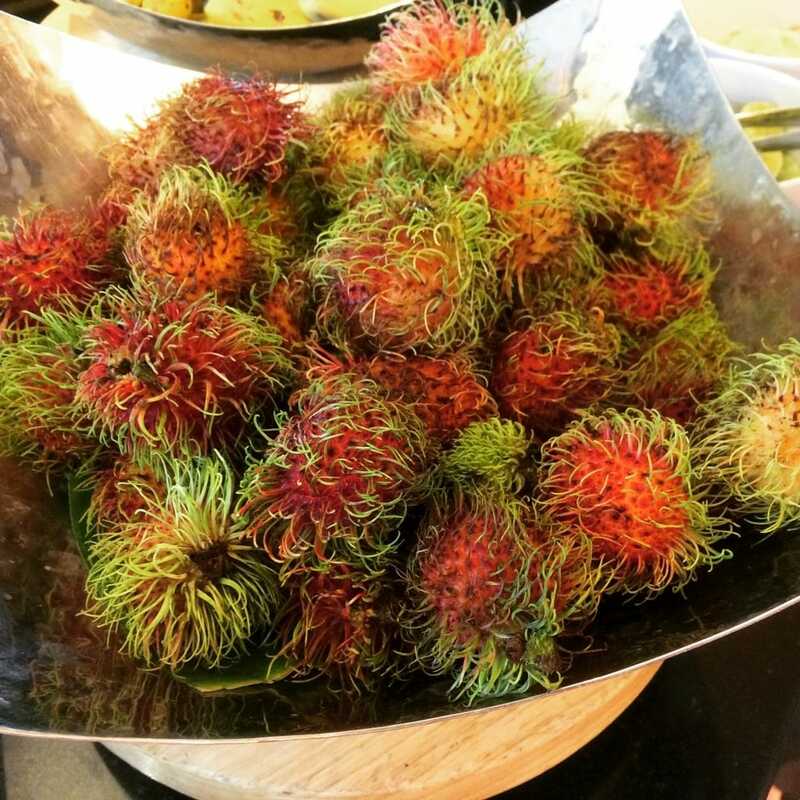 My personal highlights were the spiky rambutan fruit, mini banana, dim sum (yes, for breakfast) and the automatic pancake machine – who doesn’t want one of those in their kitchen? 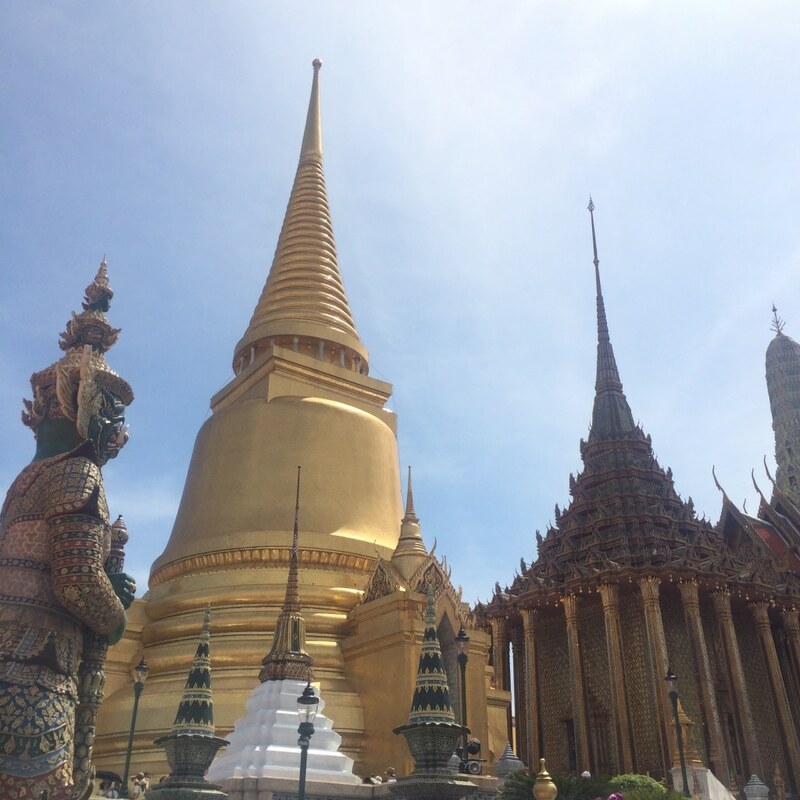 The first attraction on our list was the Grand Palace and wow did it live up to its name. Rather than get on a train, we thought we would get the boat there so we could see the Chao Phraya River, which cuts its way right through the city. It is definitely one of the most spectacular places I have ever been to; filled with towering statues, opulent buildings and thousands of tourists. 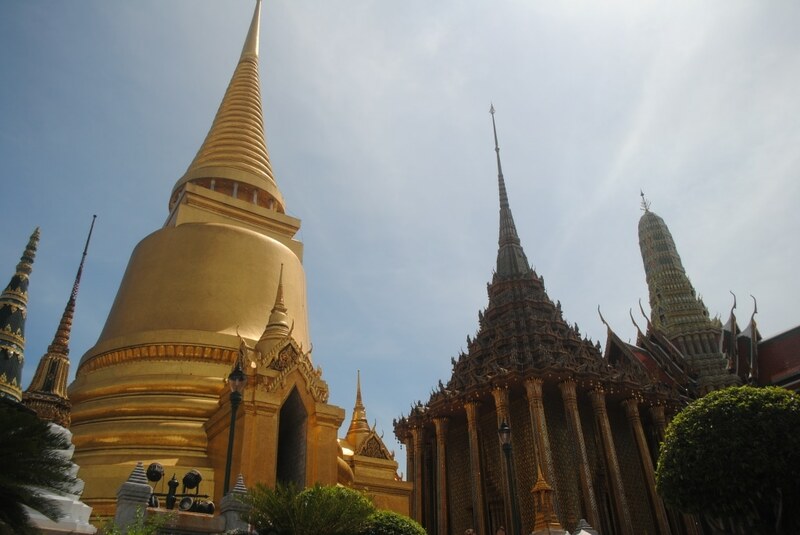 The Grand Palace was the official residence of the King of Siam (and later Thailand) since 1782. The present monarch lives somewhere else, perhaps this one wasn’t fancy enough for him. It was crazy busy, mainly with huge guided tours; and it was hot – hotter than I have ever been in my life. 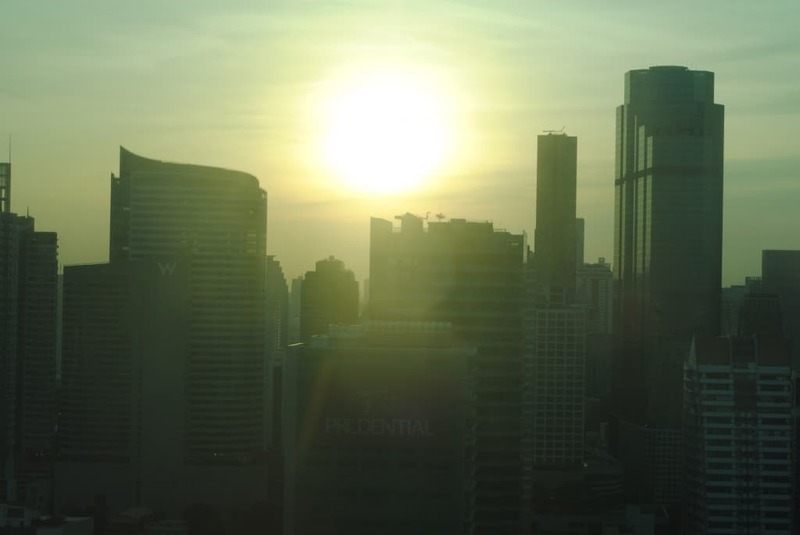 It only occured to me when someone mentioned it on Instagram that the reason why it is so hot in Bangkok is partly because everything is so shiny. The sun is bouncing off of everything, intensifying the heat. 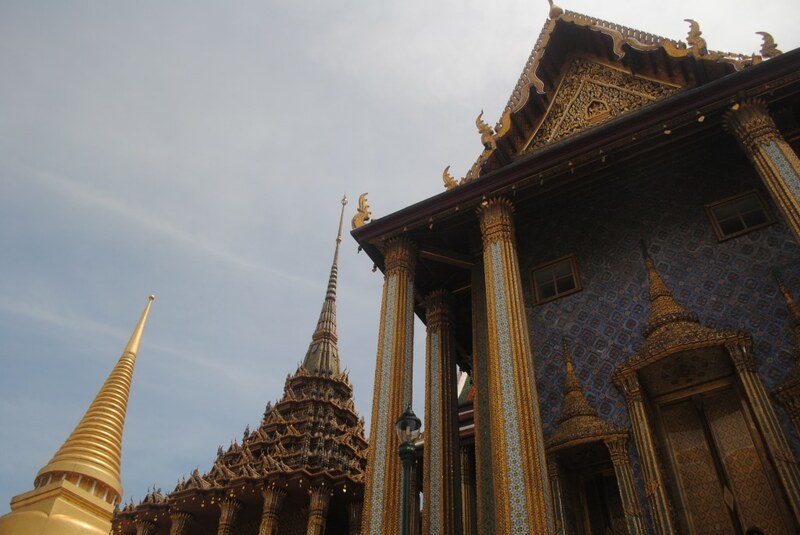 We could have easily stayed in the Grand Palace for hours, but the heat was really getting to us and we needed to get some water, and it was lunch time! We went to a little place down the road that was recommended on Trip Advisor called Inn A Day. It was actually a small boutique hotel that served food in the reception area, but don’t let that put you off. The food, although simple, is really delicious. We went for a red and green curry and shared a rice, as we didn’t want to feel too weighed down with lots more walking ahead. 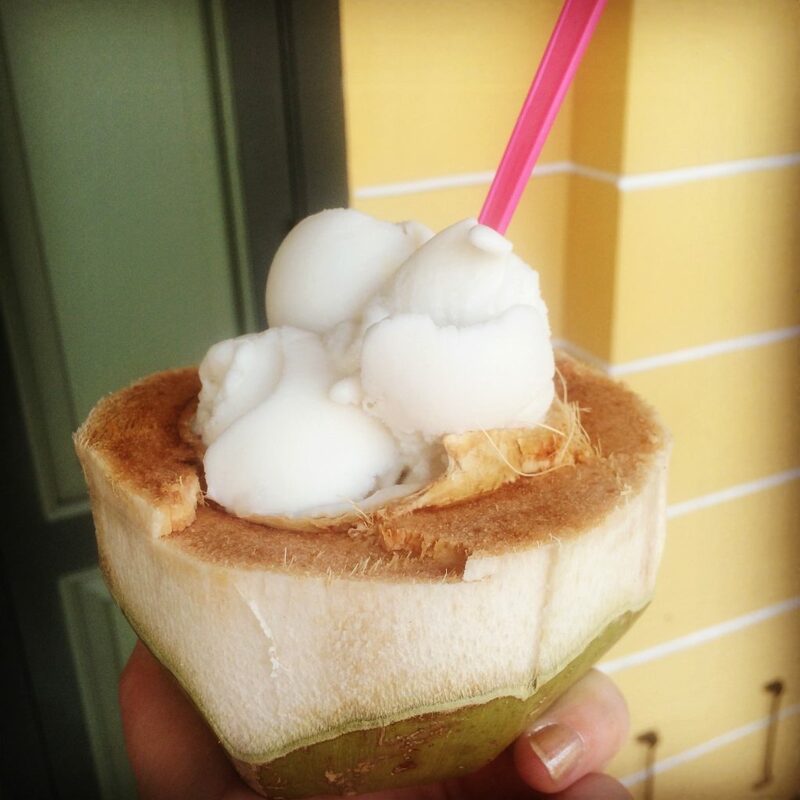 Walking outside again, the heat hit us, so when we passed a man with a cart selling coconut ice cream, we knew that it needed to be purchased immediately. All of this, with condensed milk on it of course, cost us 70p. 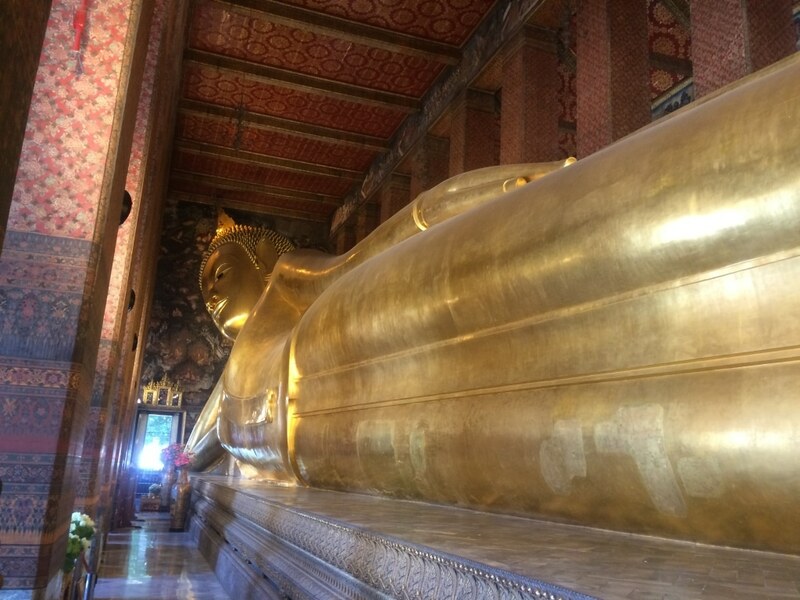 One of the main attractions in Thailand is the Reclining Buddha, which is why we were so surprised at how quiet it was there – there were probably only about 20 people looking at it. 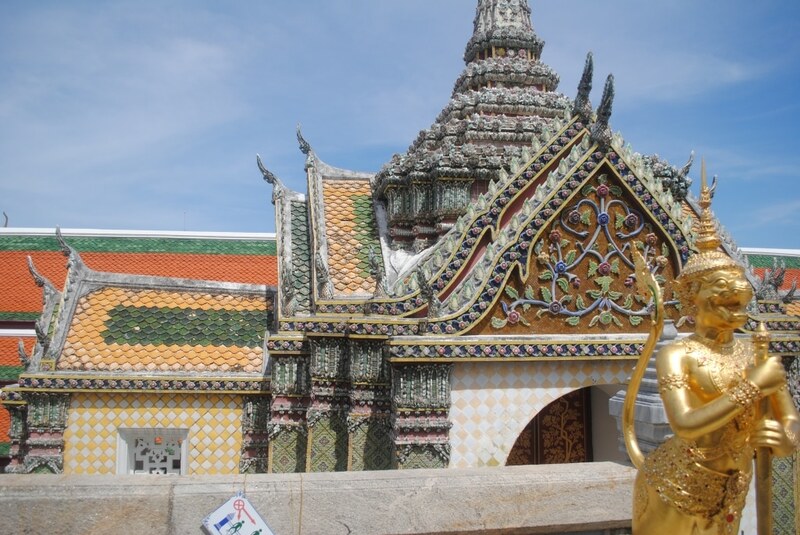 It took us a while to find it, as it was part of a huge area of temples and statues called Wat Pho. 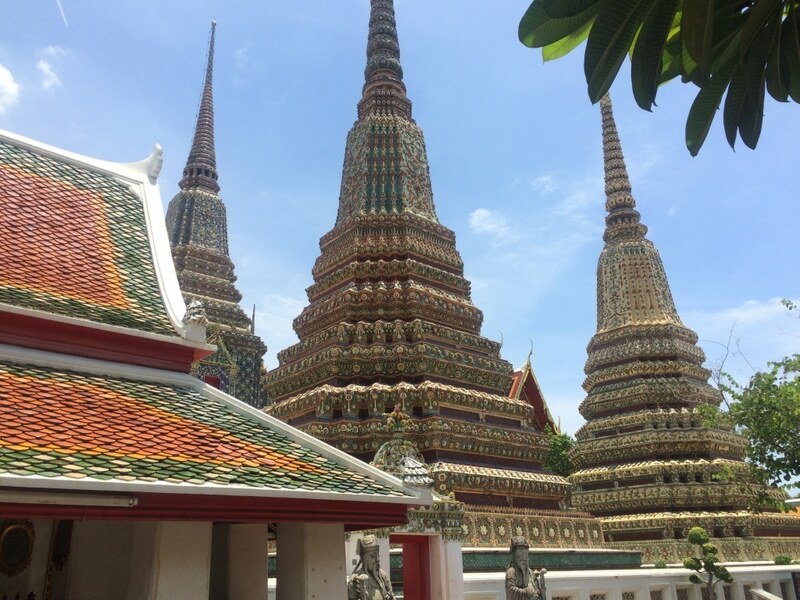 Wat Pho is one of Bangkok’s oldest temples, and it actually existed before Bangkok was established as the capital. 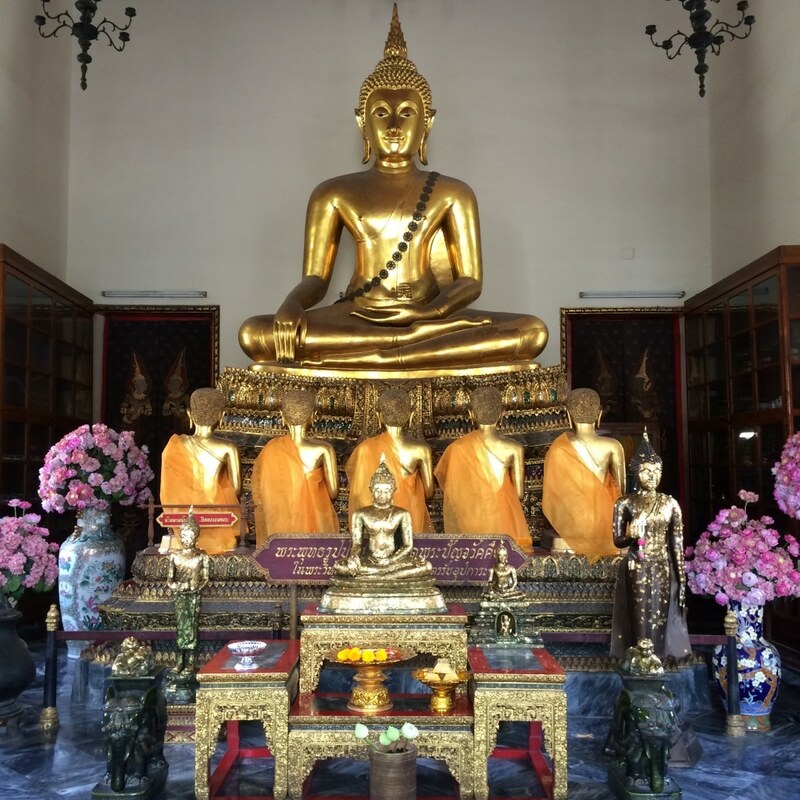 It was built in the 16th Century and it houses the largest collection of Buddha images in Thailand, including the 46m Reclining Buddha. 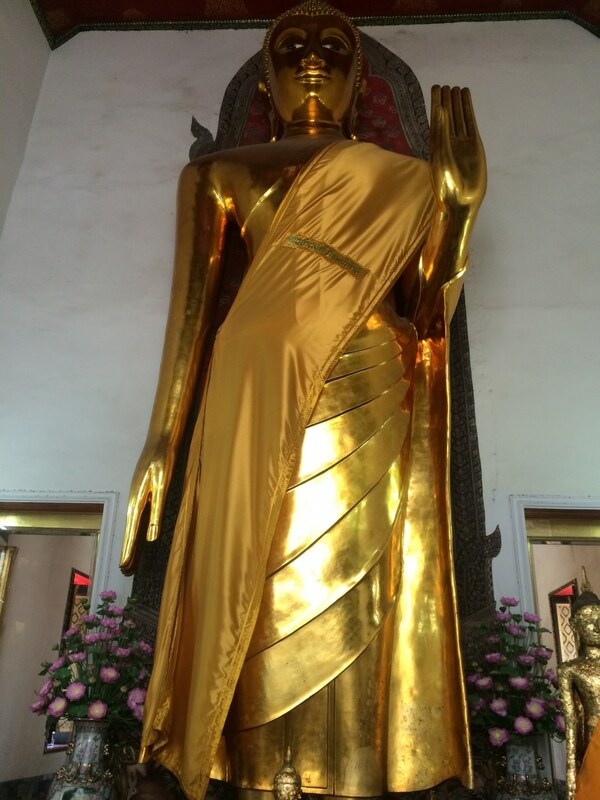 We walked round the complex for a good hour looking at different Buddha statues and it really did seem endless. We went in to every temple, which is actually hard work when you have to take your shoes off and cover up for every one you go inside. After walking around for a while, we eventually came across it and it is hard to miss. Saying that, it was a lot smaller than we were expecting. We walked 22,000 steps during the day round Bangkok, which is probably more than I have ever walked in a single day, and it certainly built up an appetite. 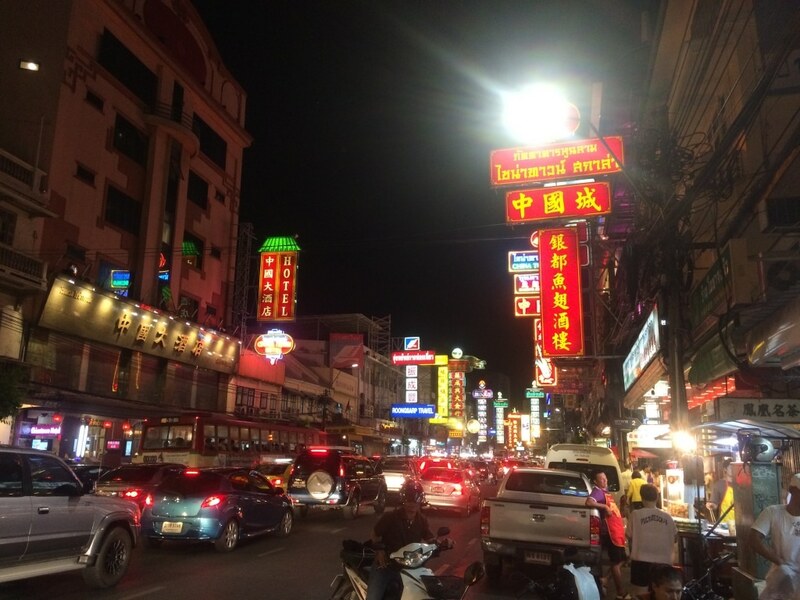 We wanted to experience what Bangkok street food really had to offer and the best place to do that is Yaowarat Road in China Town. So, we went on our first tuk-tuk ride to get there and those things should be a tourist attraction in themselves. SO much fun! Health and safety goes right out the window with these things, but that’s all part of the adventure, right? I have been to a few China Towns around the world, San Francisco being my previous favourite, but the one in Bangkok is in a different league. A different smell on every corner (some not so appetising), bright lights, car horns, people every where. There were lots of restaurants to choose from, some I had seen recommended on Trip Advisor, but we wanted something a bit more authentic, so we looked out for a street food stall that had lots of locals eating at it and sat down on the plastic furniture at the side of the road to order our food. Let’s talk about health and safety again. Place like this are not up to the standards in the UK, but that doesn’t make them unclean. Sure, nothing is spotless and a rat ran past my food whilst I was eating and there were stray cats everywhere (and even a rogue pug! ), but the food prep surfaces were clean and judging by how popular it was with locals, I don’t think many people have problems eating there. 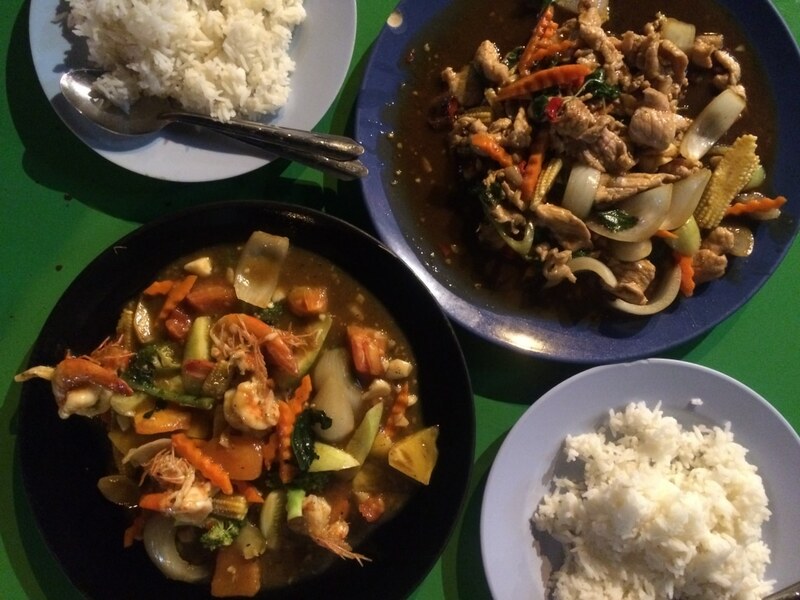 That is one of the first things you have to get used to with Thailand, the places you will be eating at are very different from what you are used to at home, but that isn’t a bad thing. The heat that they cook things at it likely to burn off anything nasty anything. Look at the flame behind Dave. It looks like his head is on fire. We went with pork in basil and sweet and sour prawns and both were incredible. Perfectly cooked meat and vegetables and the sauce complimented them both really well. Look at all the veggies in it as well. Both of these, with rice, came to £6 total. 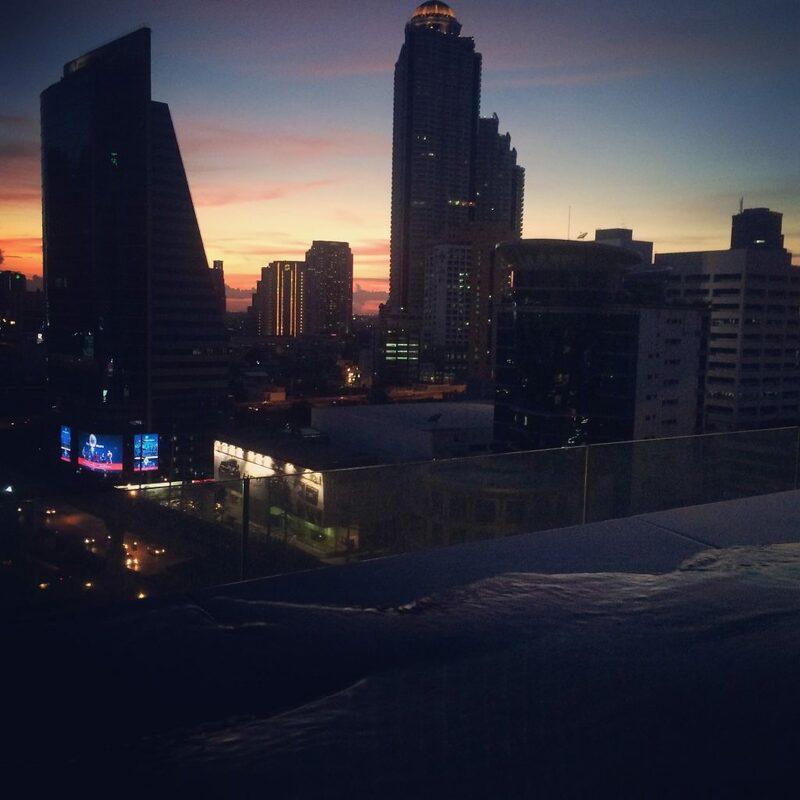 We didn’t want to end our last night in Bangkok particularly early, but it had been a very long and hot day and we were ready for bed. Plus, we had a day of travelling ahead of us the following day. 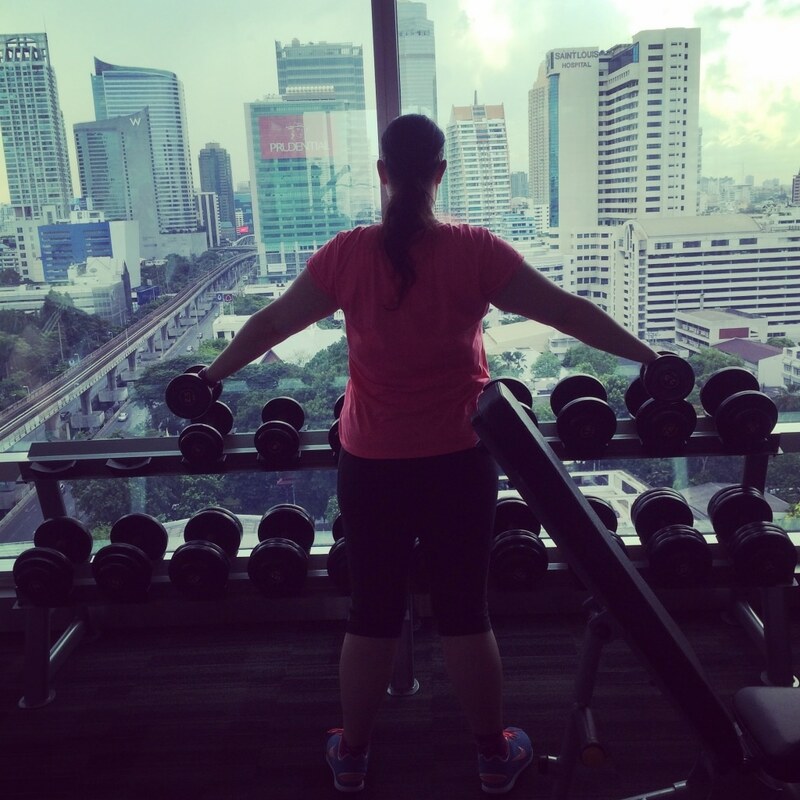 We didn’t have a particularly early flight, so we thought we would make the most of the hotel gym before we went and made the most of the hotel breakfast buffet. 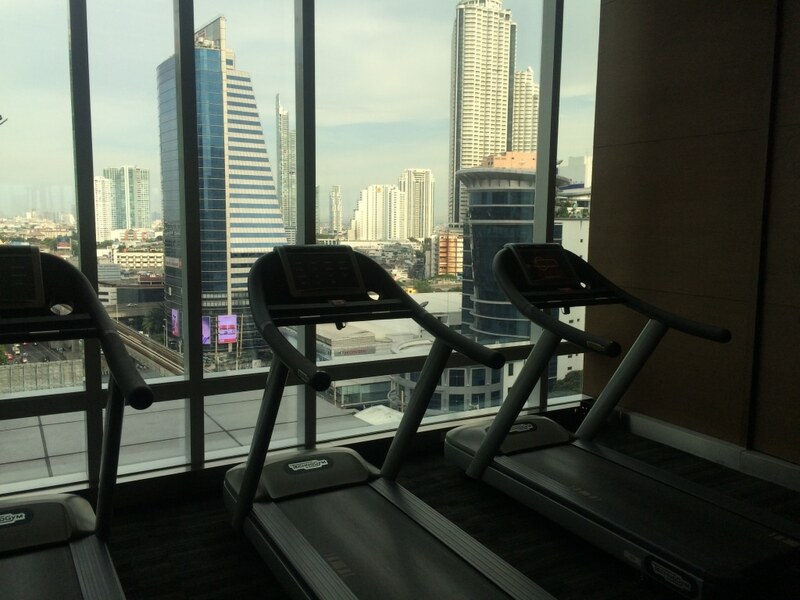 I mean, how often to you get to workout at a gym with a view like that? 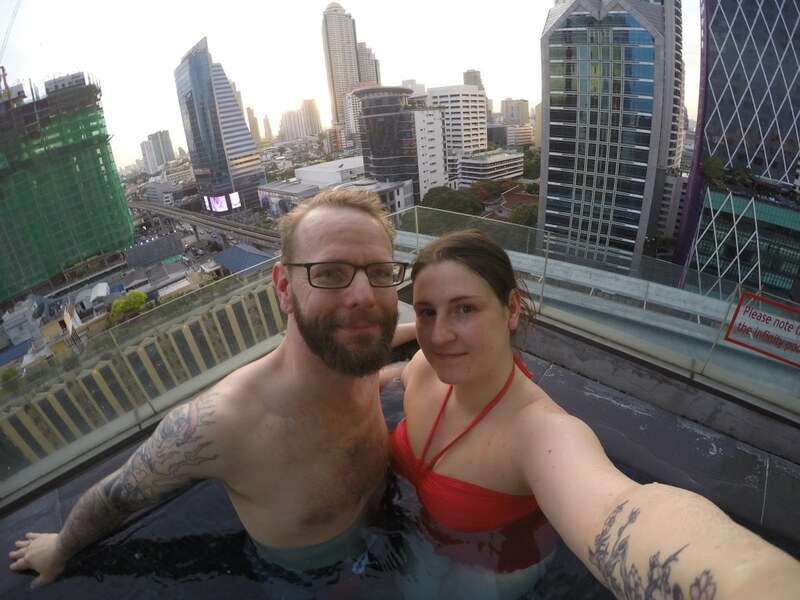 Oh, and we were feeling pretty proud of ourselves for navigating our way round Bangkok without getting lost and then on the final night Dave manages to get lost round the hotel and can’t get his way up to the room. Fail! 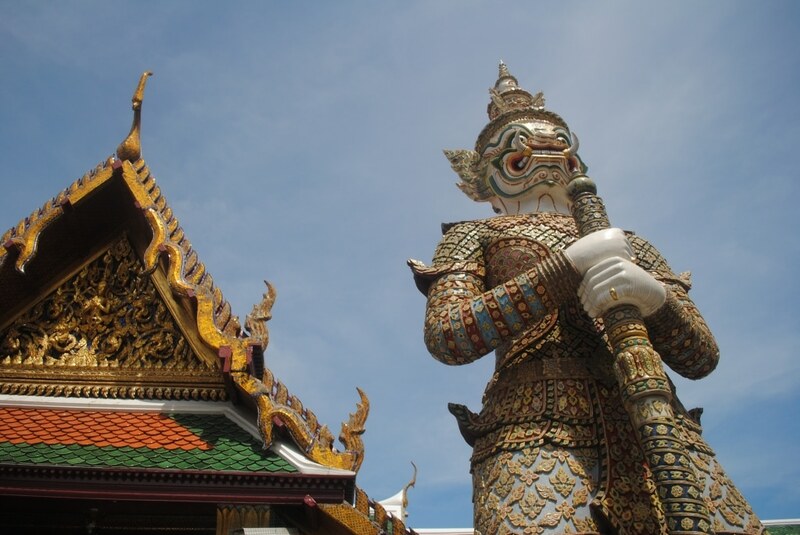 After a quick and busy stop in Bangkok, it was time to pack our bags and head north to Chiang Mai. I will be sharing all about that very soon. The food was definitely a highlight. Everything had so much flavour. Haha, I know. It was funny. I wish I had that pool in my house. I am not sure that I have the room though! Oh gosh I am soooo hungry reading this. 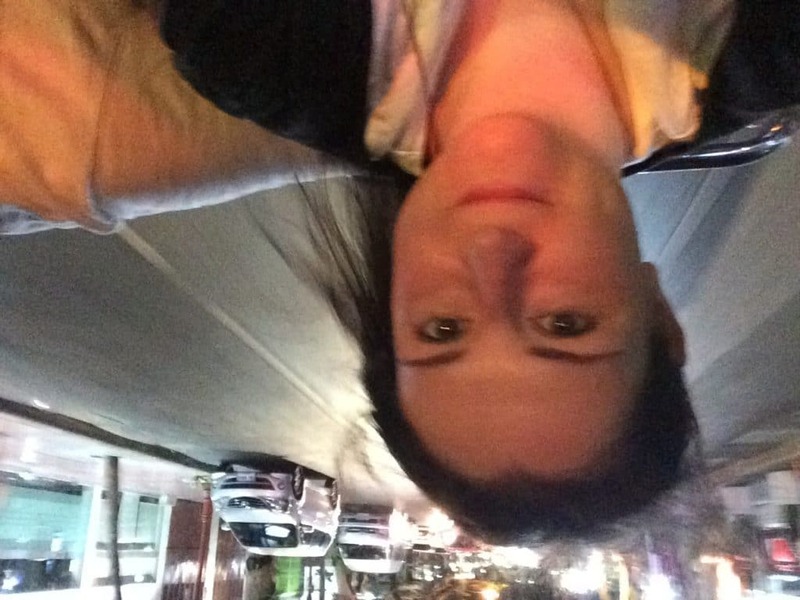 I absolute love Thailand and have been to Bangkok twice. Cannot wait to go back, maybe even take the kids in a few years. Hope you had an amazing holiday! It was incredible, thanks. We want to go back soon too, but there is just so much of the world to see. These photos are amazing! Sounds like you are having an utterly awesome time 🙂 A place I’ve always wanted to visit! You should go soon Ceara. There was lots of delicious vegan food on offer. Oh my gosh that pool! That looks incredible! As does the rest of your trip … all that food and those sights. My husband was in Bangkok for a few weeks years back now for work. He always talked about the food! I think it is hard to go and not fall in love with the food. Unless you don’t like Thai food of course. 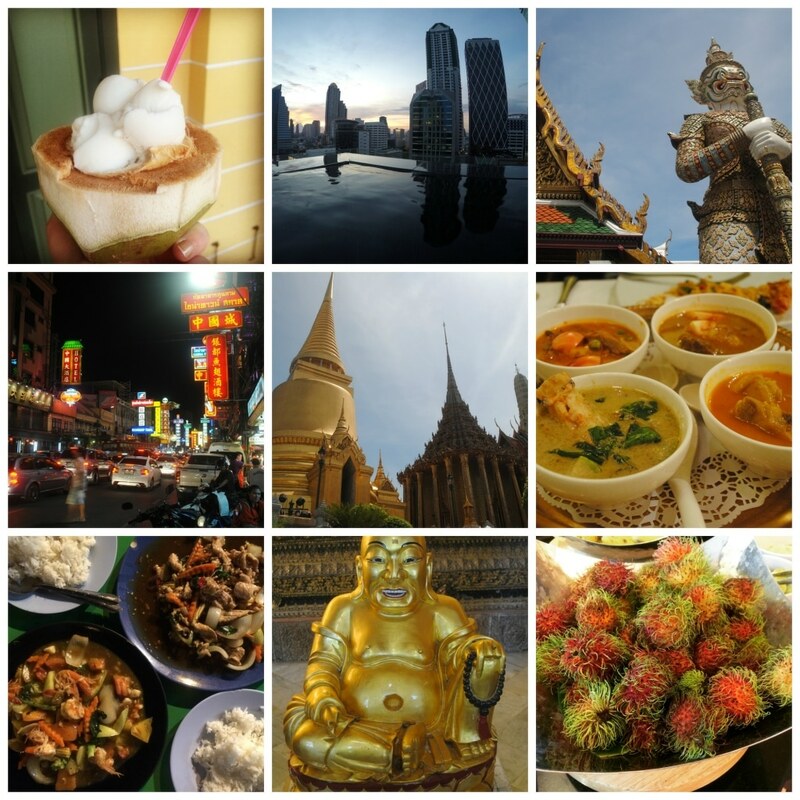 Your pictures really bring me back to the flavors and life and sounds of Bangkok! Looks like you had a great time! It was amazing Dani. I can’t wait to go back! Dannii, you indeed had great time!!! Looks like you enjoyed a lot of authentic food there 🙂 Lovely post!! Sounds like you had an awesome time! Love all of the pictures! I love how the city smells like ginger and lemon grass. Sounds amazing. I really was sick of lemon grass by the time we came home though haha. 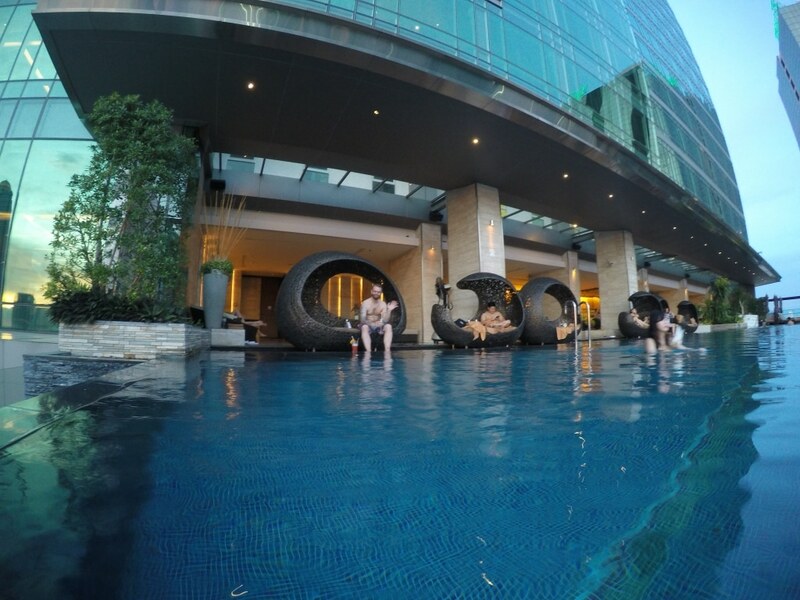 I’d love to go to Bankok it looks like you had a wonderful time – thank you for the tour – the hotel looks lovely and you’re right that’s some view and the infinity pool looks great. 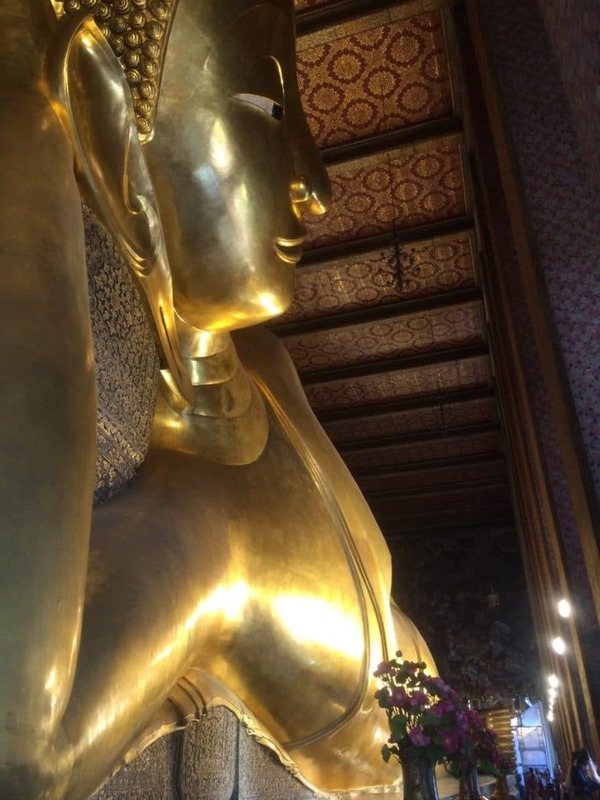 I’d like to see all the temples and buddha’s too – and the food looks wonderful too…. 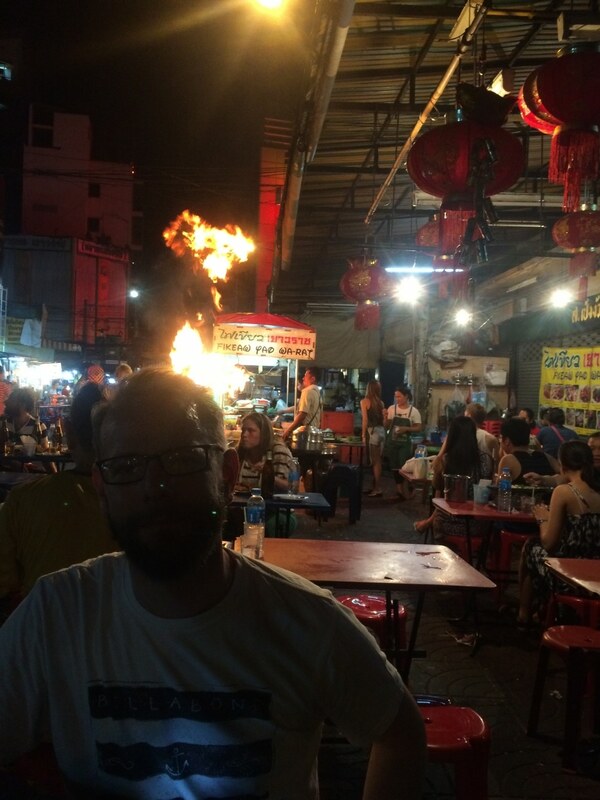 I like a good street food market too – there we’re lively ones in India when I went. I’ll definitely bookmark this page as I think we might stopover here on the way to Australia – thank you. Hope you enjoyed the rest of your trip. I bet the street food in India is amazing. That is somewhere high on the list of places to go too. Wow! What a lovely place. And absolutely stunning photos! 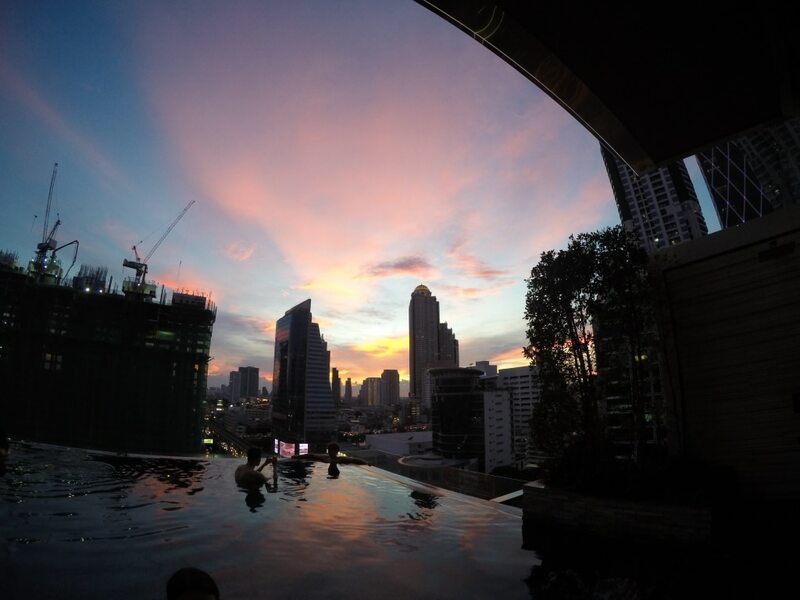 I have never visited Bangkok, but this place is in my bucket list! But now after reading this lovely article, I so want to go there ASAP! 🙂 Thank you for this lovely share! I’ve never been to Bangkok but I loved both Hong Kong and Singapore, so I really need to get to Bangkok! I need that infinity pool in my life, and I am also suddenly super-motivated when confronted with a hotel gym with a spectacular view 😉 Looks like you had a fabulous stay! Haha, yeah a good view is always a pull to the gym. Plus the breakfast buffet after. 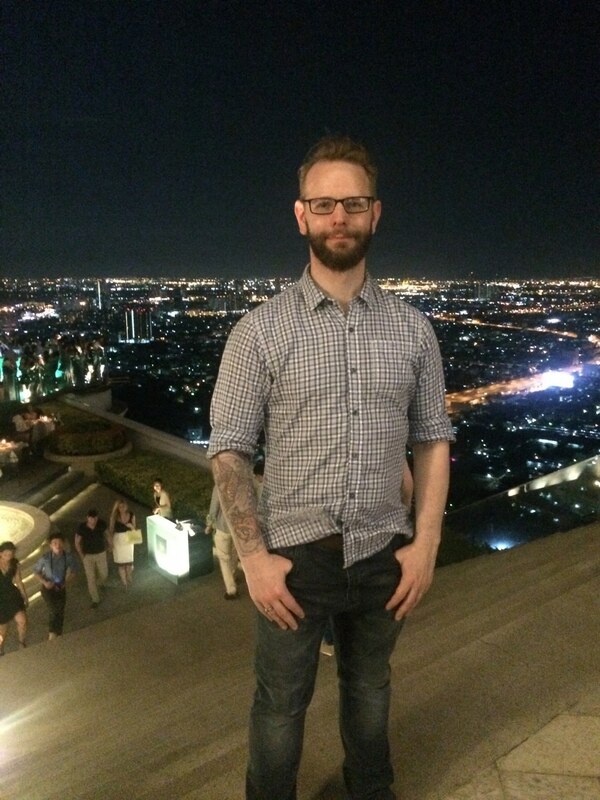 I went to Bangkok years ago, it really is an incredible place isn’t it? I love your pictures, they are really professional. I wish I had some better quality pics from my time there. ps your husband is cute! Thanks! That is one of my regrets from amazing trips I did years ago, I don’t have any good quality photos. 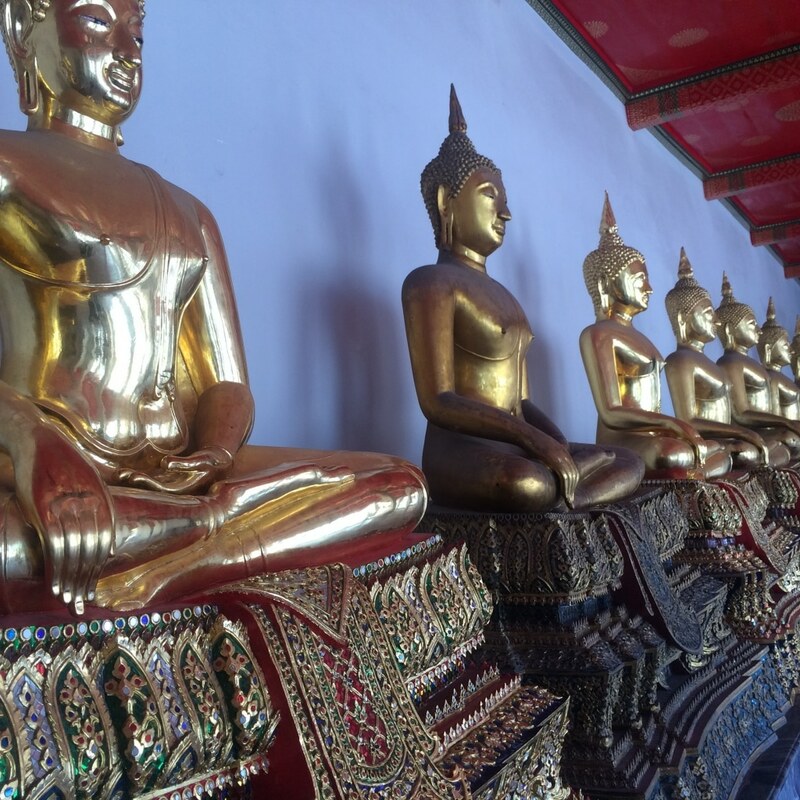 Yes, it is something everyone should experience, but I was glad to move on to Chiang Mai. Looks like you had an amazing time. I have always wanted to visit Bangkok but the journey is just too long. It is really long, although not as long as some, but it is totally worth it. 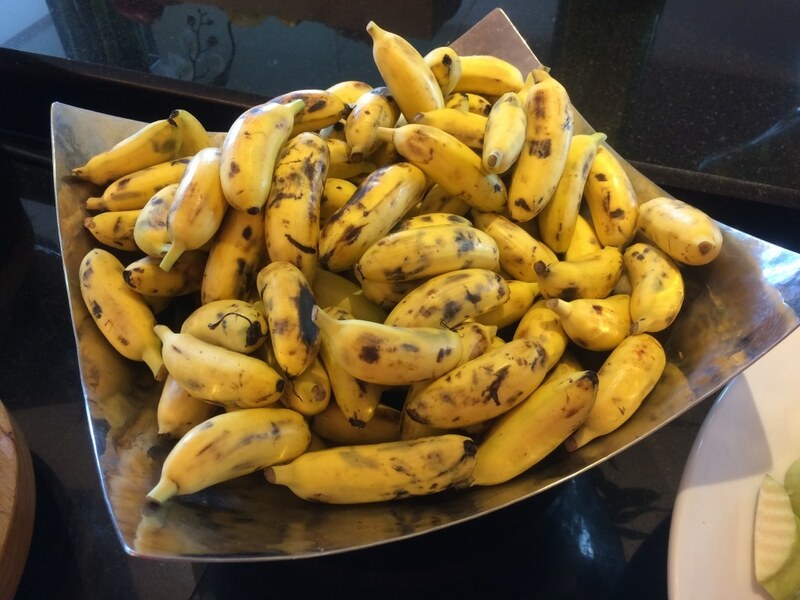 How cute are those mini bananas! 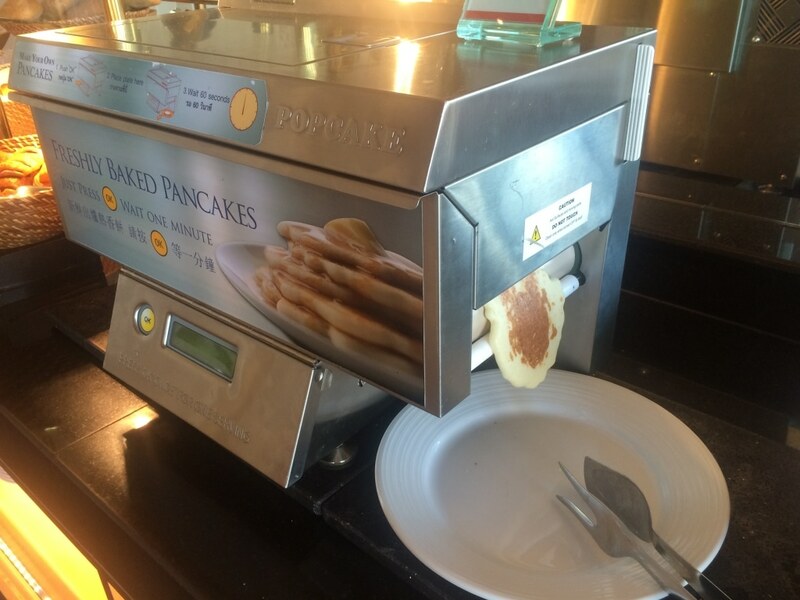 My kids would flip if they saw that pancake machine.